Have you ever wondered what the most popular recipe in your State is? What about the most popular recipe in places like New York or California? 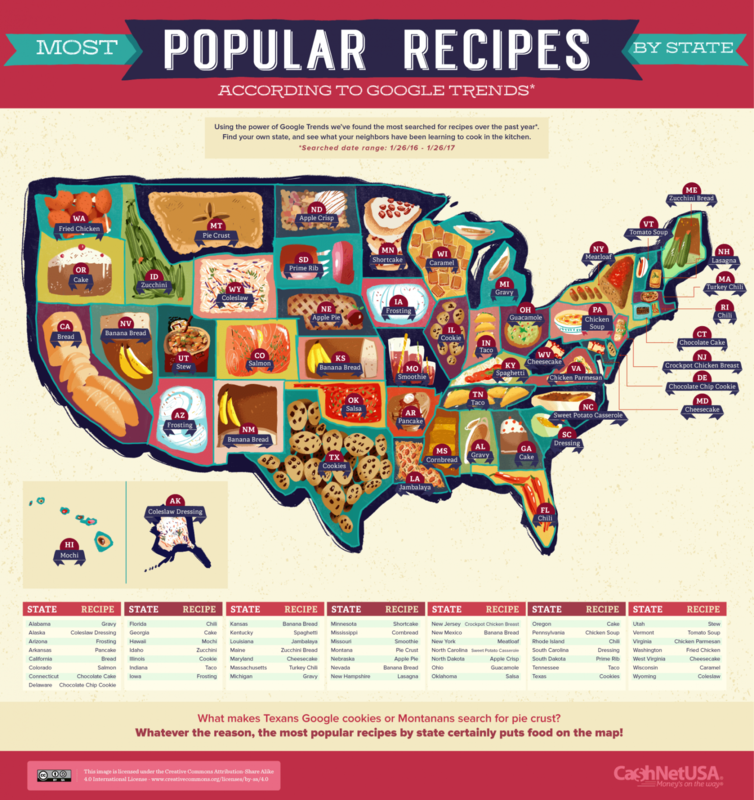 This food infographic from CashNet USA answers all of the questions above by looking at Google search history for recipe searches in specific States in America. It’s quite interesting to see how the different States search for recipes, bread comes out on top in California while meatloaf wins in New York. Below you can see all the most popular recipes by State and here’s some useful recipes for bread and meatloaf.